Jürgen Klopp has assured Xherdan Shaqiri that his ‘time will come’ as the forward awaits his full Liverpool debut. 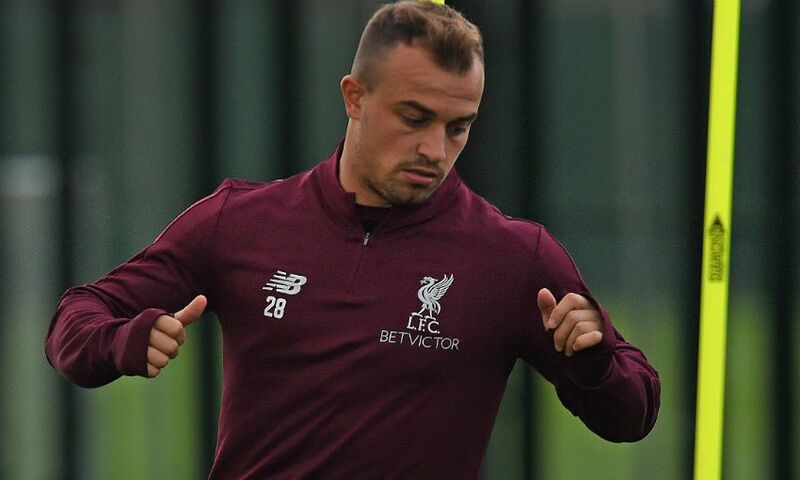 Switzerland international Shaqiri has been restricted to three substitute appearances against West Ham United, Leicester City and Paris Saint-Germain so far this season. However, Klopp acknowledged that the 26-year-old is pushing for his first start for the club ahead of Saturday’s meeting with Southampton at Anfield. “He is very positive, not only from the performances but as a guy in the dressing room. Everyone loves Shaq, that is how it is - and without playing plenty of minutes,” the boss said. This weekend’s game against the Saints is the Reds’ seventh of the campaign. The previous six have all ended in victory, with Klopp citing ‘greed’, ‘aggression’ and, latterly, ‘reinvented defensive skills’ as key factors behind their perfect results to date in 2018-19. “We don’t feel that [momentum] to be honest because we play, analyse, prepare; play, analyse, prepare and that is it,” the manager stated. “Maybe it’s because all the jobs are so difficult. There is no game where we have thought: ‘Thank God we have played them.’ None of the results we have this season would have been possible without the greed you have seen or without the aggression you see. No chance. “We didn’t win anything so far - not in the past and not this season - so let’s use the momentum and create a new momentum. We really want to be the ugliest team to play against. That is the plan, and to do it with good football players. “The best news I have had in the last two weeks is how we have changed or reinvented again our defensive skills. We didn’t need them too much in the first few games. It was not that we didn’t have to defend but they were different games.